The course will be delivered by fully qualified tutors. Once someone has completed all 5 workshops they will gain a qualification and a certificate for their CV. 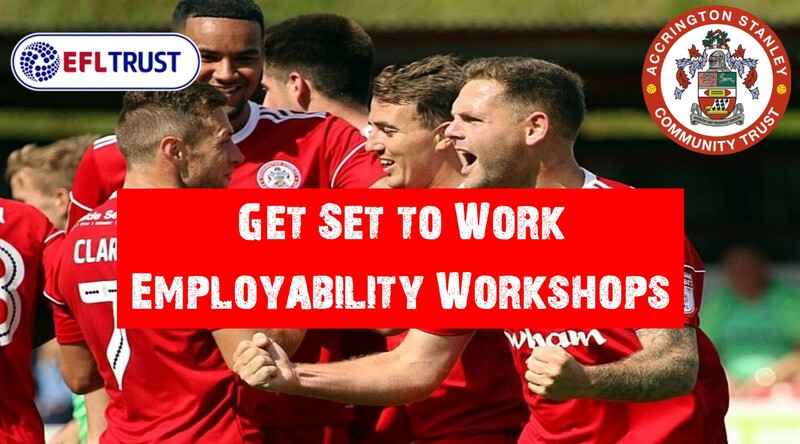 The workshops will be held every Wednesday 10am-4pm at Accrington Stanley’s Wham Stadium, BB5 5BX. The first workshop is taking place on Wednesday 20th Feb. The workshops are different every week so you could join on any Wednesday. For more information or to register your interest please get in touch E: info@stanleytrust.co.uk T: 01254 304071. NEXT Next post: Join us this half term!